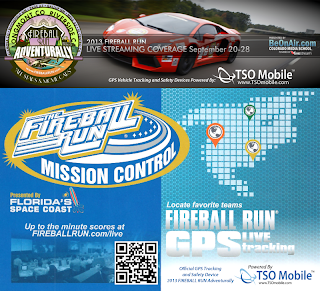 Other than live streaming coverage, the audience will also have access to Real-Time GPS Vehicle Tracking of the teams through the Live Tracker powered by TSO Mobile at The Fireball Run's mission control site http://www.fireballrun.com/live. 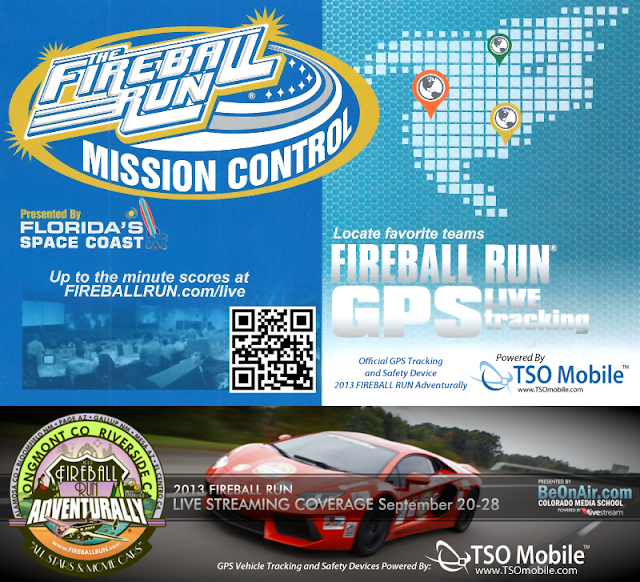 Viewers will be able to monitor live in a map all vehicles part of the race. The GPS Vehicle Tracking System provided by TSO Mobile, other than helping with the live tracking, will also serve as a security system. The GPS Trackers installed in the vehicles are being used as security devices due to the fact that they trigger alerts related to any event, and allow for the monitoring of speeding, and any other activity happening on the road.